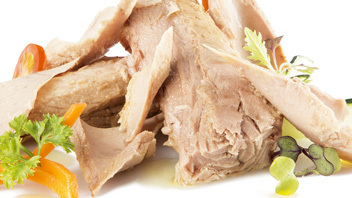 Our almadraba wild tuna (Thunnus Thynnus) comes from the almadrabas off the coast of Cadiz. It is a selective, fixed, sustainable and environment-friendly fishing method. The catch depends on climatological factors such as tides, winds, cleanliness and transparency of the waters, etc,… It is carried out during the months of April and May, taking advantage of their migration process to the Mediterranean Sea and coinciding with the moment they offer their optimal quality for consumption. Our tunas aren’t artificially fattened in fattening farms. All our salted and preserved fish products are elaborated with wild fish from the almadrabas of the coast of Cadiz. 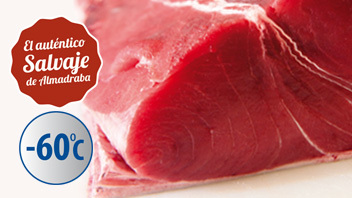 Wild red tuna from the almadrabas of the coast of Cadiz, direct sale all over Spain. Fresh in season and deep-frozen at -60º all year long. Selection of the best salted almadraba wild red tuna, direct sale all over Spain. 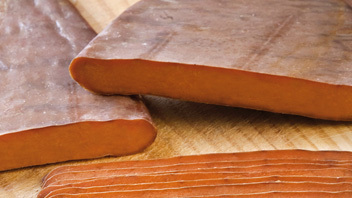 Selection of the best almadraba wild red tuna preserved products, direct sale all over Spain. Almadraba Wild Red Tuna, salted and preserved products. Order online or if you need assistance, call us at +34 956 435 839. We will be pleased to help you. 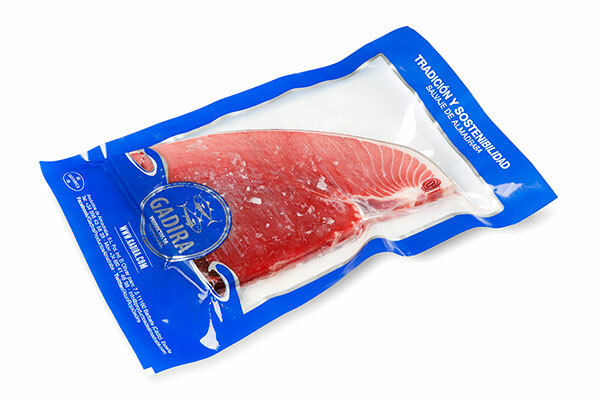 More than 30 years of experience selling almadraba wild red tuna in the domestic and Japanese market, which is the most demanding market regarding product quality.